A college library referred to Thanksgiving as a “#NationalDayofMourning” on social media recently — but the Massachusetts school soon reversed course. What does the promoted article say? 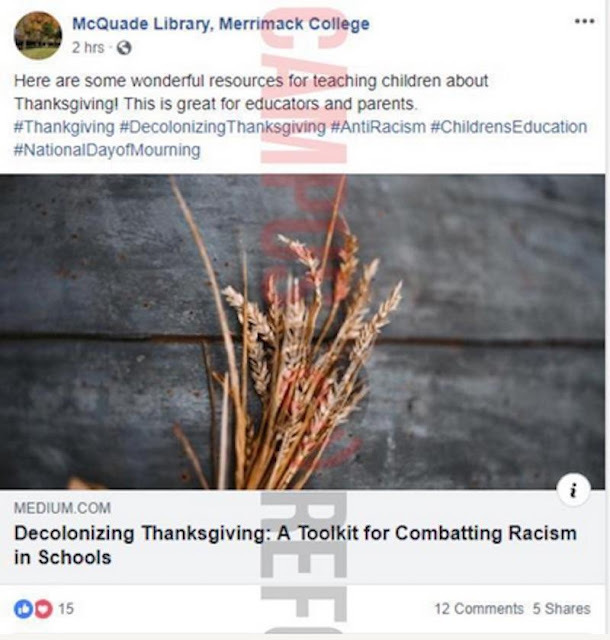 The article by Lindsey Passenger Wieck — director of the Master of Arts in Public History program at St. Mary’s University in San Antonio — is about fighting “stereotypical and racist portrayals of Native peoples” in American elementary schools that come up each Thanksgiving. What did Merrimack College have to say? The post “in no way represents the ethos of faith, family and freedom for which the college stands, nor our genuine appreciation for this most American of holidays,” Merrimack Associate Vice President of Communications and Marketing Jim Chiavelli told Campus Reform, in reference to a version of Sunday’s Facebook post that was on Twitter. “‘#NationalDayofMourning’ is absolutely not a hashtag or mentality the college endorses,” Chiavelli added to the outlet, noting that the Twitter post was an “inappropriate use of the account by a student worker” and that he had it deleted. Chiavelli also told Campus Reform that he would look into the Facebook post, which was still active Tuesday afternoon — but without the #NationalDayofMourning hashtag. 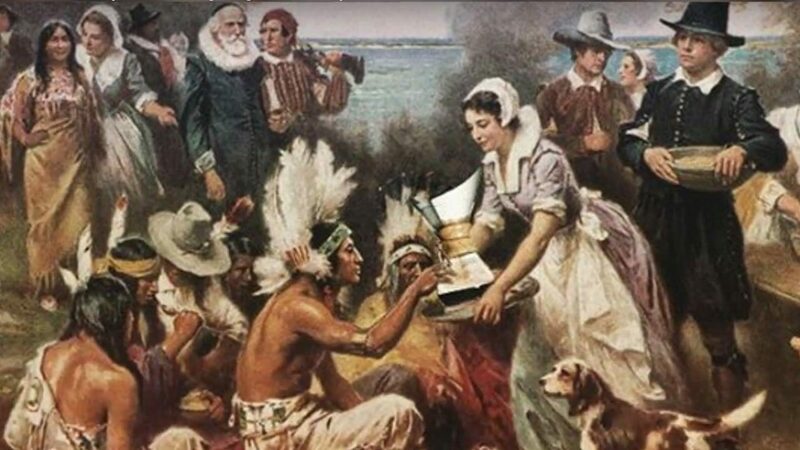 The United American Indians of New England say they and their supporters have been commemorating a National Day of Mourning on Thanksgiving Day since 1970.